He emphasised that corruption would not be condoned in his government, emphasising that government officials caught enriching themselves at the expense of the people would be prosecuted. “It is my belief that the most effective way to directly impact the poor, and to narrow the gap between the rich and poor is to ensure that public resources do not end up in the pockets of government officials. 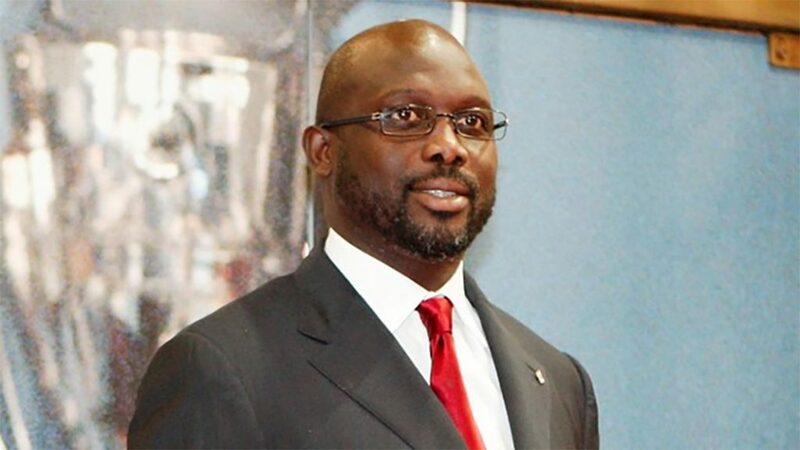 “I further believe that the overwhelming mandate I have received from the Liberian people is a mandate to end corruption in the public service. I promise to deliver on this mandate. “As officials of government, it is time to put the interest of our people above our own selfish interests. It is time to be honest with our people. “For those who do not refrain from enriching themselves at the expense of the people, the law will take its course. I say today that you will be prosecuted to the full extent of the law”, he said. Weah noted that although corruption had become an habit among the people, government officials must lead by example by refraining from it. He added that workers must be paid a living wage in order not to use poor remuneration as excuse to indulge in stealing of public resources. President Muhammadu Buhari was represented by Vice President Yemi Osinbajo. Other eminent personalities from Nigeria were former President Olusegun Obasanjo; former military Head of State, Gen. Abdulsalami Abubakar; President of the Senate, Bukola Saraki, and Gov, Rochas Okorocha of Imo.